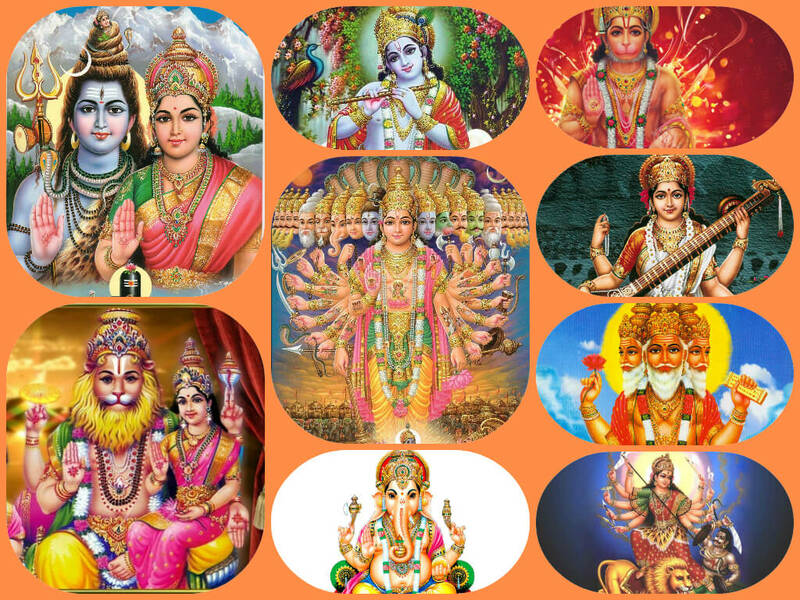 What is the concept of many gods in hinduism? Question: Why does Hinduism have so many Gods? Answer: Hindus all believe in one Supreme God who created the universe. He is all-pervasive. He created many Gods, highly advanced spiritual beings, to be His helpers. Longer answer: Contrary to prevailing misconceptions, Hindus all worship a one Supreme Being, though by different names. This is because the peoples of India with different languages and cultures have understood the one God in their own distinct way. Through history there arose four principal Hindu denominations-Saivism, Shaktism, Vaishnavism, and Smartism. For Sai-vites, God is Siva. For Shaktas, Goddess Shakti is supreme. For Vaishnavites, Lord Vishnu is God. For Smartas-who see all Deities as reflections of the One God-the choice of Deity is left to the devotee. This liberal Smarta perspective is well known, but it is not the prevailing Hindu view. Due to this diversity, Hindus are profoundly tolerant of other religions, respecting the fact that each has its own pathway to the one God./p pOne of the unique understandings in Hinduism is that God is not far away, living in a remote heaven, but is inside each and every soul, in the heart and consciousness, waiting to be discovered. This knowing that God is always with us gives us hope and courage. Knowing the One Great God in this intimate and experiential way is the goal of Hindu spirituality./p pstrongElaboration:/strong Hinduism is both monotheistic and henotheistic. Hindus were never polytheistic, in the sense that there are many equal Gods. Henotheism (literally "one God") better defines the Hindu view. It means the worship of one God without denying the existence of other Gods. We Hindus believe in the one all-pervasive God who energizes the entire universe. We can see Him in the life shining out of the eyes of humans and all creatures. This view of God as existing in and giving life to all things is called panentheism. It is different from pantheism, which is the belief that God is the natural universe and nothing more. It is also different from strict theism which says God is only above the world, apart and transcendent. Panentheism is an all-encompassing concept. It says that God is both in the world and beyond it, both immanent and transcendent. That is the highest Hindu view. Hindus also believe in many Gods who perform various functions, like executives in a large corporation. These should not be confused with the Supreme God. These Divinities are highly advanced beings who have specific duties and powers-not unlike the heavenly spirits, overlords or archangels revered in other faiths. Each denomination worships the Supreme God and its own pantheon of divine beings. What is sometimes confusing to non-Hindus is that Hindus of various sects may call the one God by many different names, according to their denomination or regional tradition. Truth for the Hindu has many names, but that does not make for many truths. Hinduism gives us the freedom to approach God in our own way, encouraging a multiplicity of paths, not asking for conformity to just one.